March 6th was a tough day. 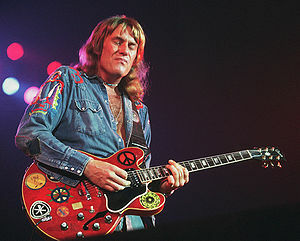 The world also lost Alvin Lee, guitarist, leader and singer of Ten Years After. This band is one of those bands that etched a big place in the soundtrack of my life, this song in particular. “I’d Love To Change The World“. It has a short interview at the beginning and gets cut off at the end, Oh well. The band hit its stride at Woodstock, and contributed to the idealism of the 60’s and early 70’s. Terrific player, great band, he will be missed, Alvin Lee, dead at 69. This entry was posted in Classic Rock, General, History, Live Music, Music, Remembering, Rock, Song Of The Day and tagged Alvin Lee, Love To Change The World, Music, Remembering, soundtrack of my life, Ten Years After, Woodstock. Bookmark the permalink. He was definitely up there. Great blues player to. Great tune! Alvin will live on far into the future on this one. Agreed. The song is pretty much timeless. Great tune, sad that he died! Soundtrack of my life. Lots of these guys passing on now. makes me feel old lol. My mom died a few months ago. Nothing in my life has ever made me feel as old as that did. Everyone else’s passing is just another reminder. But I’ll go along with “lol”, because I do want to laugh amap while I’m here. I know that feeling. Been a couple of years though. Sorry to hear that.